Earn 80 loyalty points when you order this item. 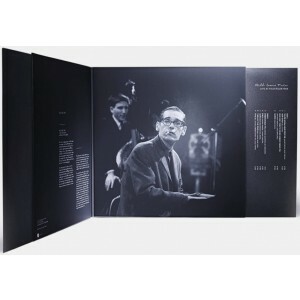 Lost Recordings from Devialet offers Bill Evans Trio - Live at Hilversum 1968 Single Vinyl LP which is limited to 900 copies making this an extremely rare find. The box set contains a single album and a download card for access to digital files in .mp3 and .aiff 16bits formats. The Lost Recordings collection is the effort of passionate people to revive legendary artists and allow you to experience the powerful emotions of a live experience. 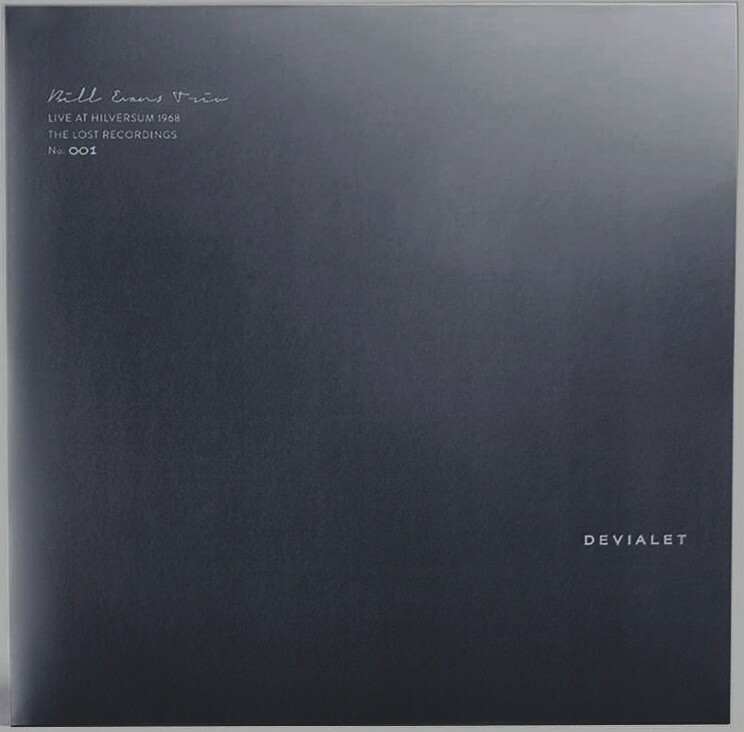 Available in a limited edition vinyl, a unique remastering process based on Expert Pro technologies and developed by Fondamenta allowed recovery of the immense beauty of these recordings. Vinyl takes you right to the heart and soul of music. It’s the ideal medium for capturing the warmth and character of a vintage recording. Every breath perfectly rendered. 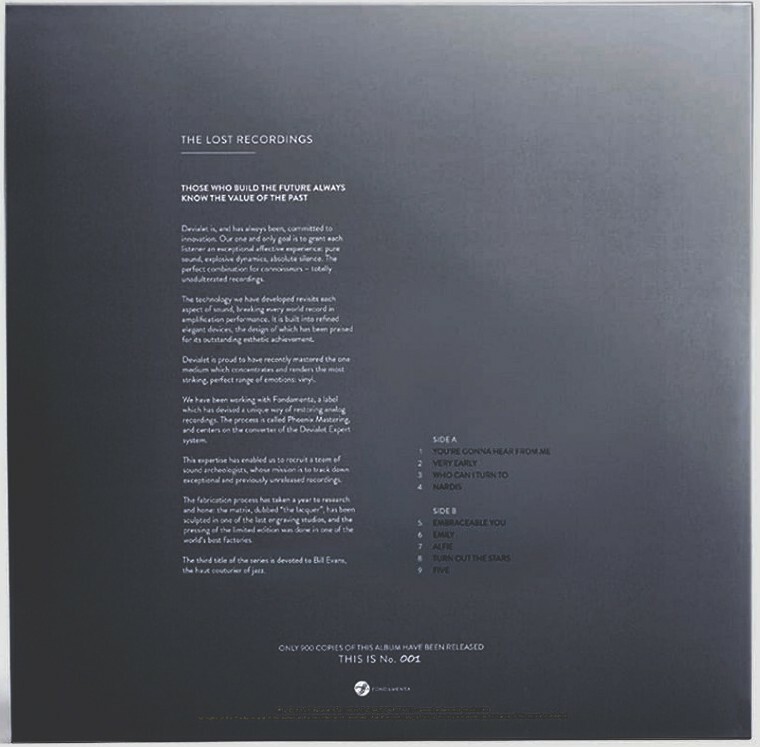 A natural choice for precious recordings, the albums is pressed on 180g vinyl. Produced by one of the finest vinyl manufacturers in the world, the Lost Recordings feature an exclusive collector’s edition design. 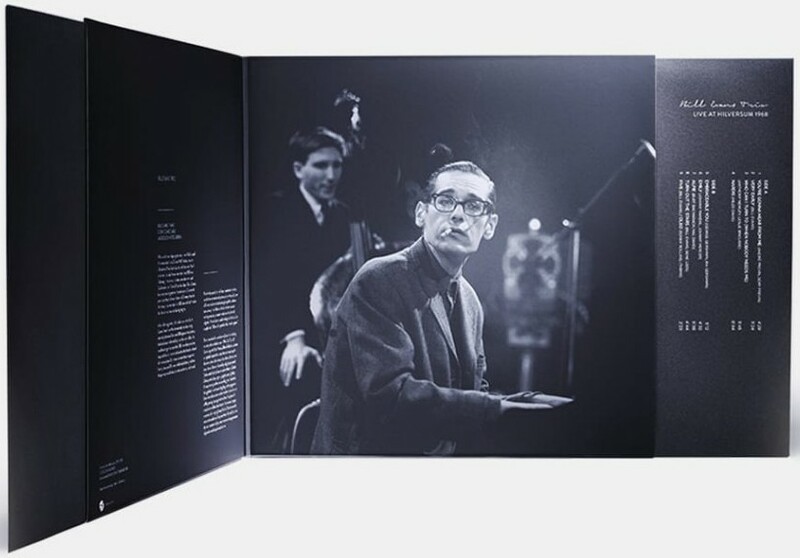 While at his best, Bill Evans gave in 1968 a concert of an astonishing intensity. Deep, emotional and elegant, this haut couturier of jazz once again demonstrated his mastery of harmony, rhythm, musical creativity and improvisation. Bill Evans alongside drummer Jack DeJohnett and Puerto Rican bass player Eddie Gomez slipped discretely into VARA’s small Hilversum studio on 22 June 1968. One month previously they had won a historical Grammy Award in Montreux, a consecration for Bill Evans and confirmation that his art had reached dazzling heights. Immediately from the first solo: a ballad on You’re Gonna Hear from Me, the fascinating interplay between Eddie and Bill began as they built up the backbone to the melody and then let it roll as if it could no longer be controlled. Bill, the solitary explorer, imposed this trio technique based on the freedom of each of the musicians. It was no more than an apparent liberty because Bill knew, the form the journey would take, its twists and turns and its end. The chords played by his left hand constituted the base, and this he demonstrated spectacularly in Very Early, a composition that abruptly plunged the audience into a smoky New York bar. And so the tone was set: nothing excessive, constant avoidance of any hint of vulgarity.